A dedicated team with more than 10 years of experience, see how ACME Moving Labor has been providing Seattle with stress-free moves for over a decade, and how we can do the same for you! Get your free quote now. MOVING SERVICESSee how we can help you today! BOOK YOUR MOVE TODAYBook Now & Save! As a moving company, we understand that not all moves are planned and that life happens. We are happy to provide hassle-free, 24/7 emergency moving labor at a price you can afford so that you can get where you need to go without compromising cost, safety, or your own peace of mind. Professional, passionate, and practical, our moving & packing help can be there when you need us, where you need us. Call us now for your free, fast and easy quote, and we can be there in no time, ready to help. BOOK YOUR MOVE TODAY!Book Now & Save! We know moving can be expensive, and we want to do everything we can to help. That's why we save you money by cutting out the middle man. 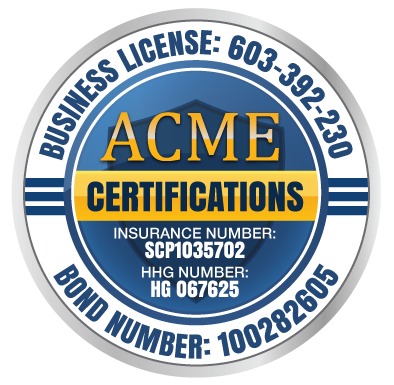 With Acme Moving Labor you can rest assured that our pricing is straight forward and there are no brokers fees. We pride ourselves on providing our customers with the best moving experience possible. Don't just take our word for it though. Look at what our customers have to say about us! Let go of the stress as we do the heavy-lifting for you. Our strategic and experienced loading help with get your household goods where they need to go while being cost- and space-efficient. Call today for your free quote! One of the most extensive, time-consuming parts of moving, get the efficient packing help you need that will save you time, effort and hassle while making sure your belongings are safe and secure. Learn more about what we can do for you! Over 10 years of providing moving & packing help to our Seattle customers has allowed us to build up a client base that loves our services. Read more about what our past clients have to say, and become our next happy customer today!